As most of you know, Jethro is in-training to become a therapeutic donkey. Therapy equines are required to wear hoof coverings at all times during visits, and it can be difficult finding hoof boots in small sizes. 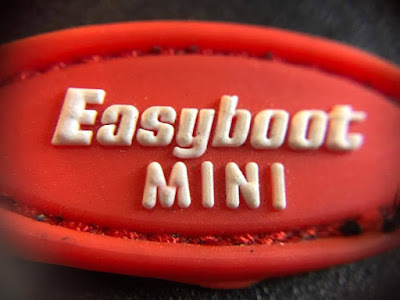 Luckily, EasyCare came up with a solution that they kindly sent me a few months ago: Easyboot Minis. And let me tell you: they are absolutely adorable! The Easyboot Minis come in four sizes originally intended for horses, but, according to the EasyCare FAQ, they can be worn by your typical miniature donkeys and mules. 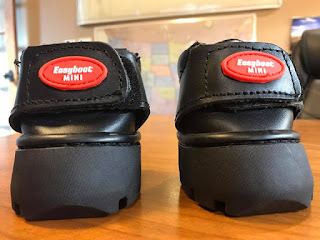 True to their amazing customer service, EasyCare actually sent Jethro sets in two different sizes in case one size did not work for his donkey hooves. Unfortunately, neither pair fit Jethro. Donkeys in general have hooves that are more upright than horses, and Jethro's are quite upright even for a donkey. 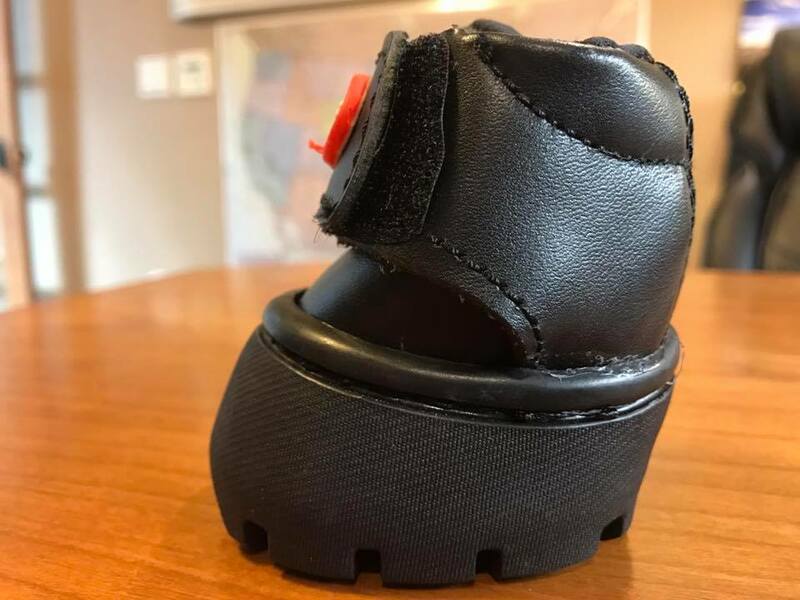 The shape of the boot's sole is fine, but the front of the boot is too angled for his upright hooves. 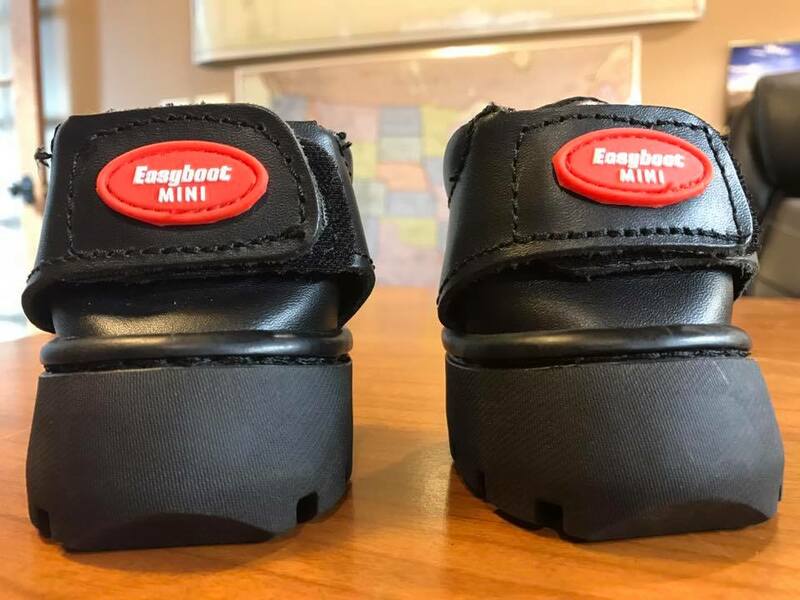 Obviously, these would be excellent for a miniature horse, and I could see them working out great for mules as well. Whether or not they work for donkeys seems to depend on hoof angle. The quality of these boots is excellent. The sole is thick and sturdy, though also flexible enough for comfort. 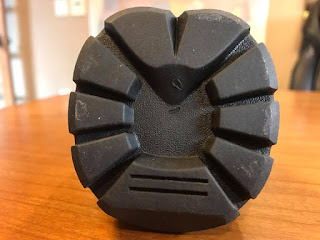 They are almost like a hiking boot — the sole is grippy and appears to offer good traction. Due to the plentiful amount of squishy padding, I do not see chaffing being an issue with these boots. The stitching is even and strong, the velcro is not flimsy, and the materials feel high quality and durable. The design is sleek and lightweight — they are not blocky or heavy. I am super disappointed that they do not fit Jethro. If it weren't for the angled front, they would be perfect for him. 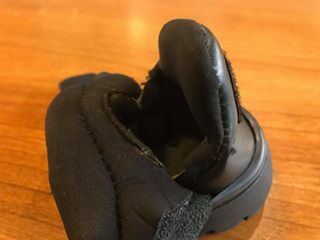 The materials are high quality, the sole is sturdy, the appearance is very clean, and they seem comfortable due to their flexibility and padding. Quality-wise, I do not have a single complaint. 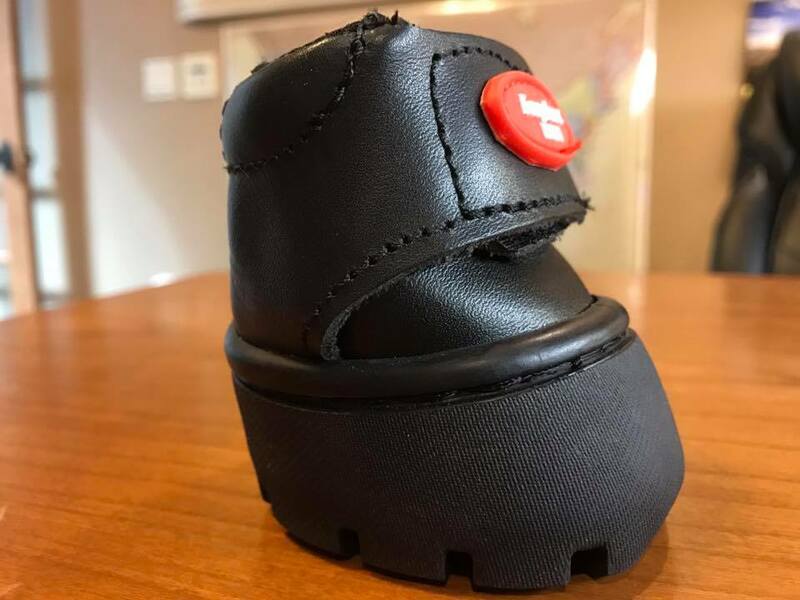 I am going to see if I can make some alterations to make them work for him — they are adorable and great quality, so I definitely want them to work out.